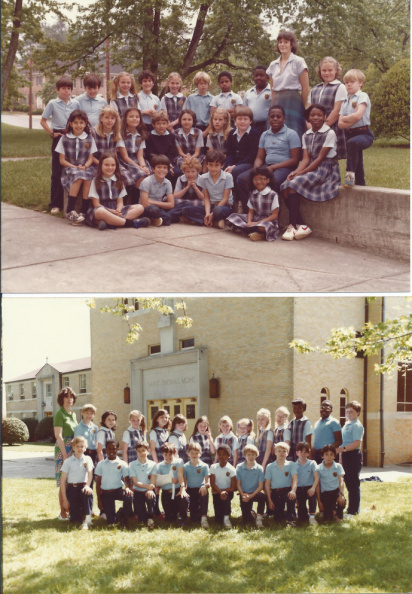 Top: 4th grade class photo. Teacher: Mrs. Schoelles. Bottom: 5th grade class photo. Teacher: Mrs. Gouiguon.